We just ordered up a few Colorado Gem Cards for the winter. This is one of our favorite deals for Colorado. $10 bucks (w/free shipping) gets you free lift tickets to Echo Mountain, Monarch, Ski Cooper, and SolVista Basin. *Half-off not valid 11/25/09 – 11/27/09. 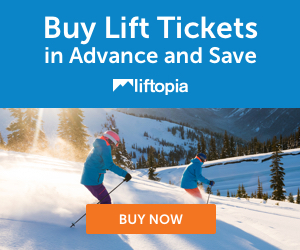 $10 off child/senior lift ticket. 2 for 1 adult lift ticket (Monday through Thursday). *All offers are not valid 12/26/09 thru 01/03/10. *2-for-1 ticket, buy one at regular price, get second one free; Not Valid 12/21/09 – 01/01/10. *Not valid 12/25/09-01/02/10, 01/16-01/17 2010, 02/13-02/14 2010, 03/12-03/22 2010. *Not valid 12/21/09 – 01/03/10, 02/13-02/15 2010, 03/15-03/28 2010. Pick up your Colorado Gems Card right here. No word on how many they have left, but supplies are limited.